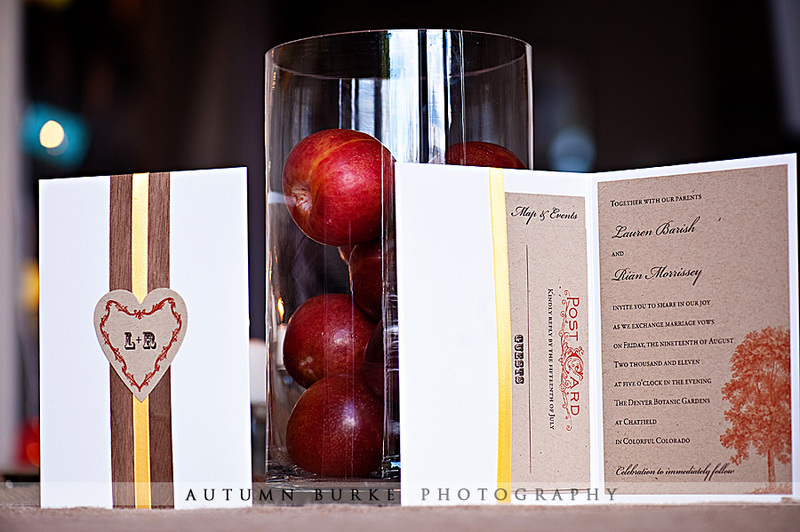 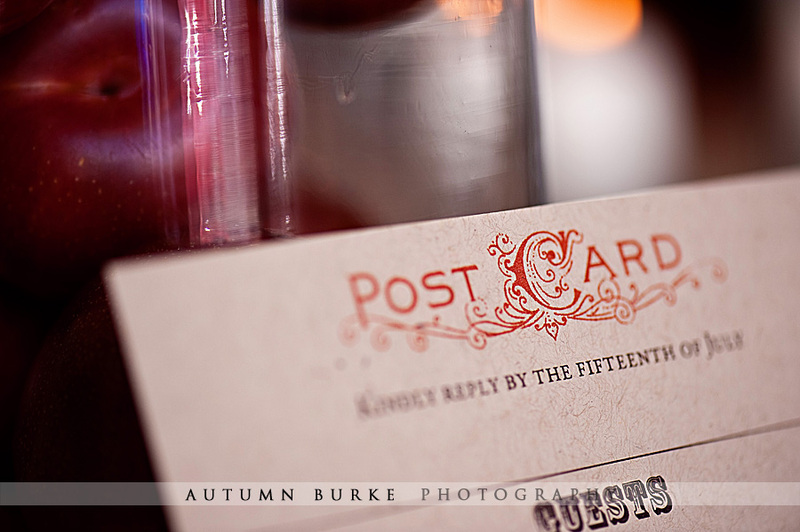 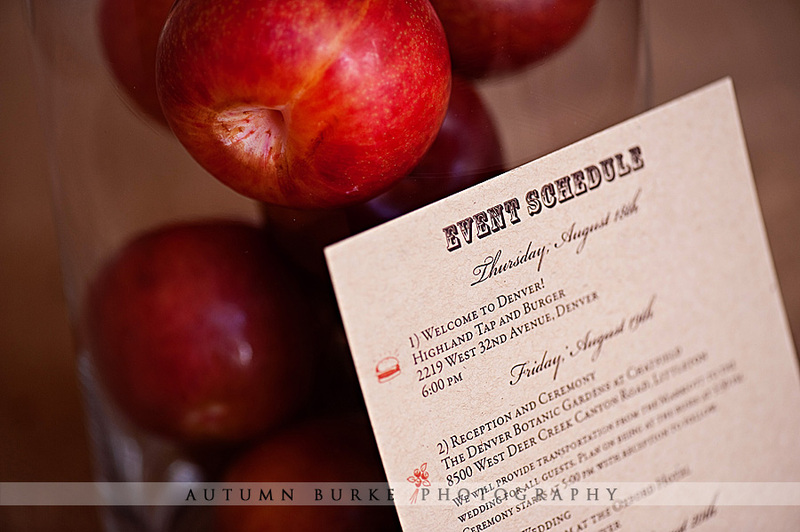 This adorable invitation design has a fun mix of materials and style all rolled into one. 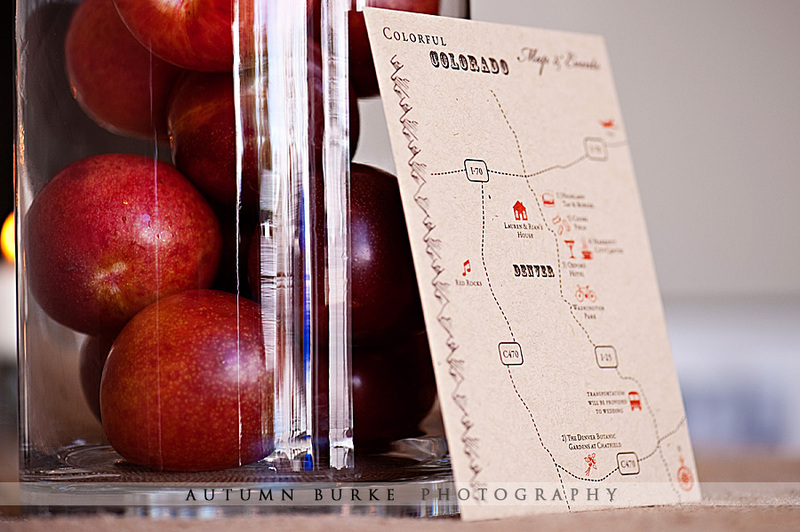 We designed this unique piece for a rustic Colorado barn style wedding with vintage touches. 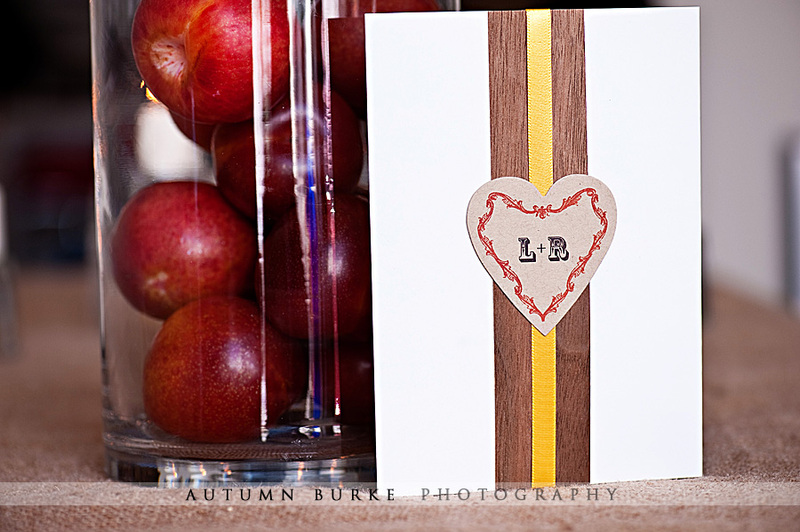 The front of the invitation features a die cut heart out of kraft brown paper with the couple’s initials. 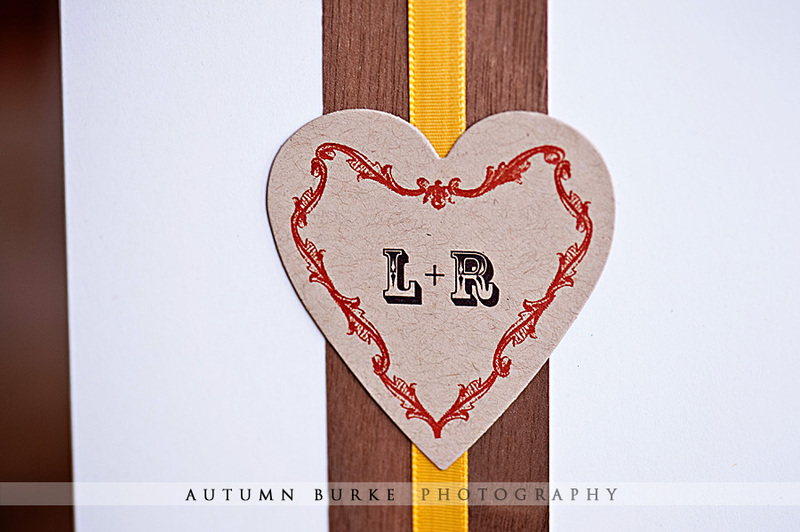 A walnut wood veneer band and a golden yellow satin ribbon complete the front of the design. 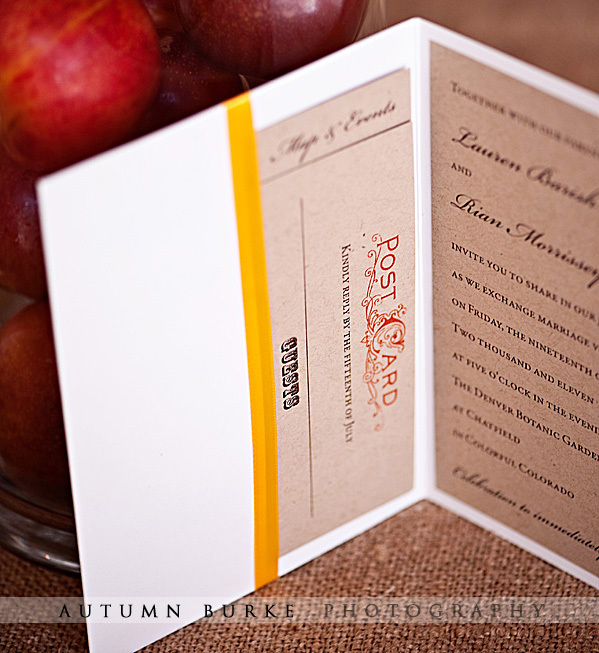 When opened the invitation card is on the right of the design with a tree illustration along with the invitation wording. 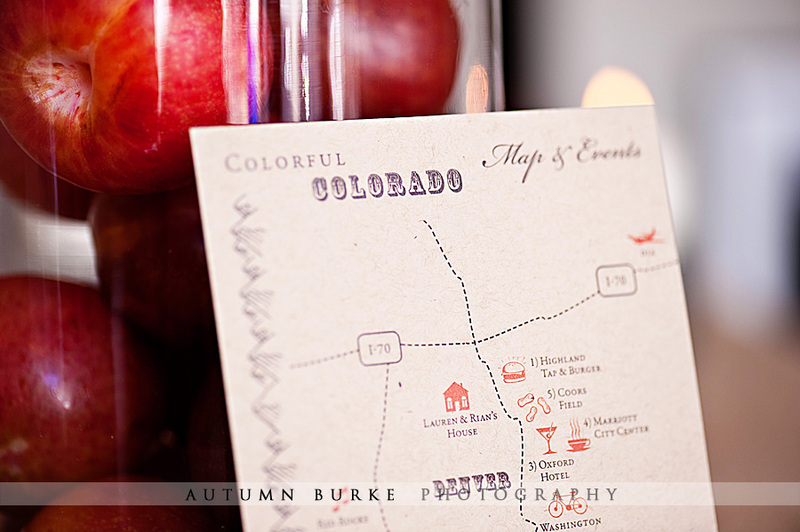 The left hand side features a pocket which holds the Colorful Colorado custom map / events schedule and vintage reply postcard. 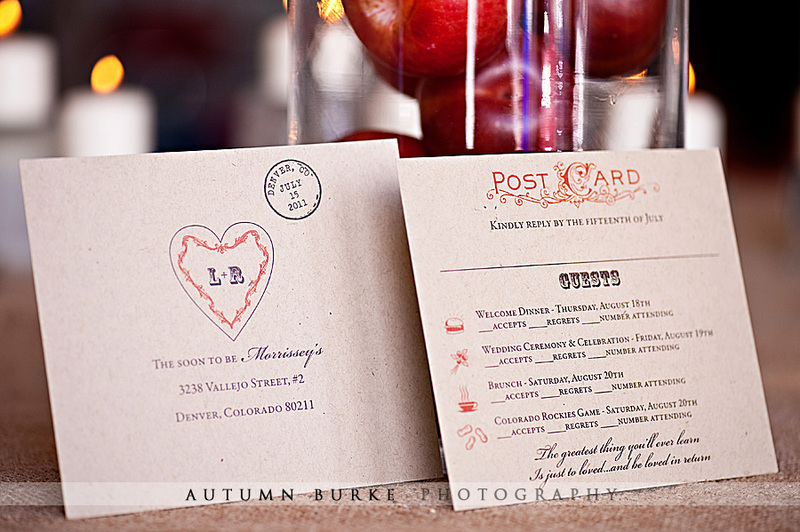 We love working with couples who are attracted to mixing unique materials and styles together. 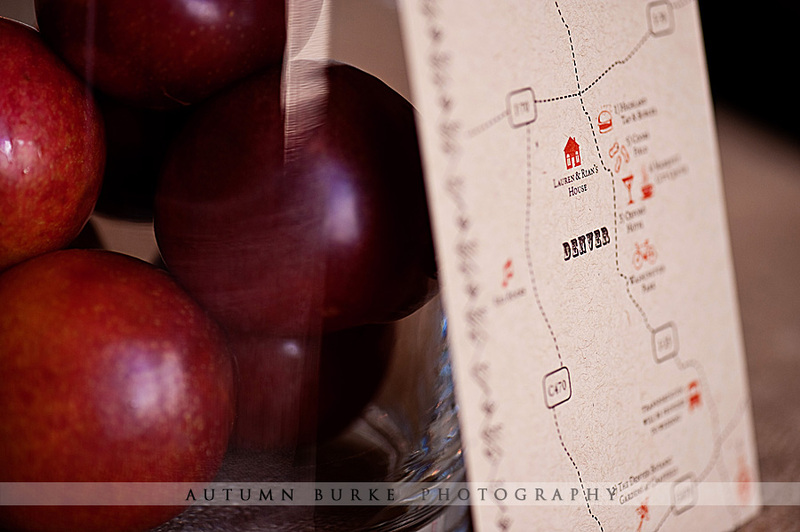 This allows for great and creative detailing!